Now, this is a tough question to answer. First, because Europe is a big place! 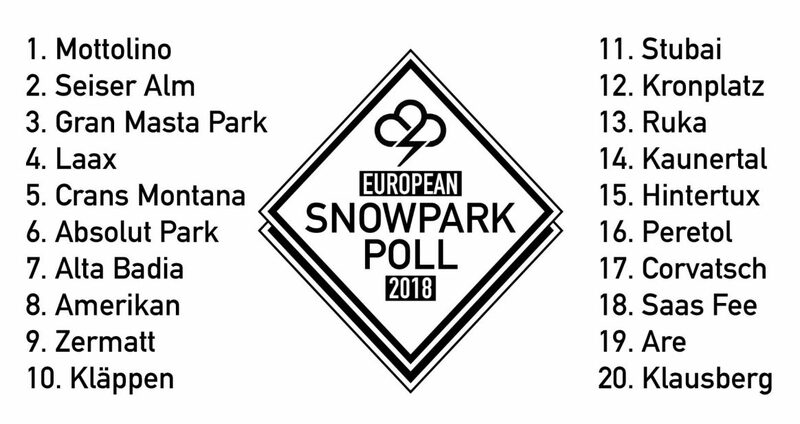 And second, because we asked “favorite,” and not “best.” Of course, these two categories often overlap, and so our poll results can easily be read as a round-up of the best parks in Europe. On the other hand, we framed the question like this because we wanted to know the parks that the people love — including the smaller, locals’ secret spots, the ones that don’t always make the Top 10 lists. In that spirit, we’re glad to present you with the results of our poll. 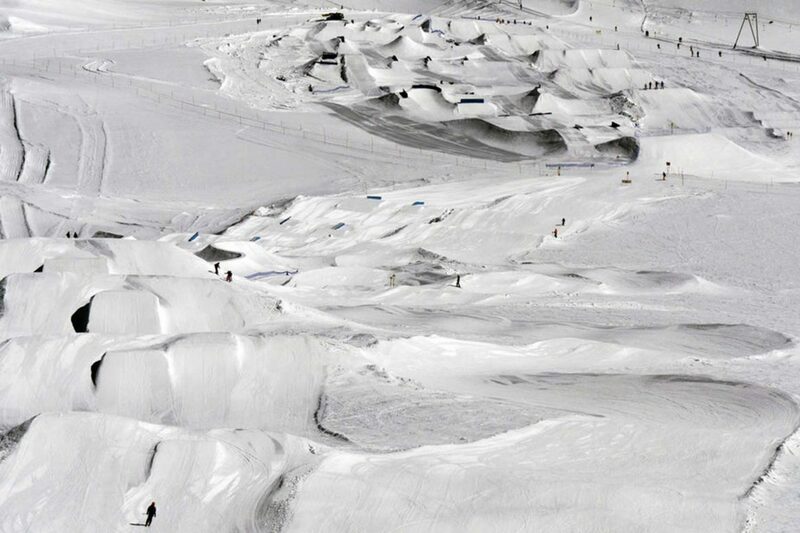 These are the fan-favorite snowparks in Europe, as voted by you! Mottolino rallied its enthusiastic fan base to claim the top spot in our reader poll of the best snowparks in Europe. 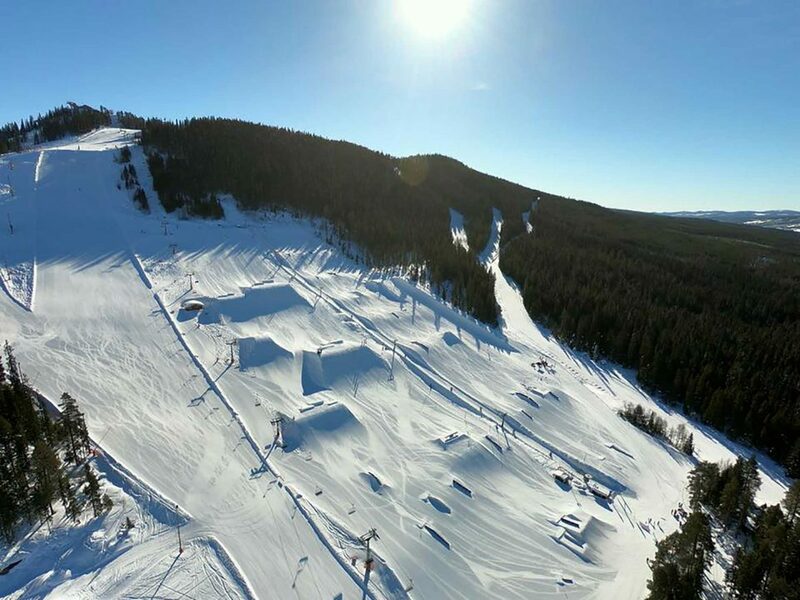 Their 800-meter park is split up in four different lines, from Small to XL, with a focus on providing progression options, no matter what level your riding is at. Earthworks were completed this summer on the L and XL line, with an all-new triple kicker line added. 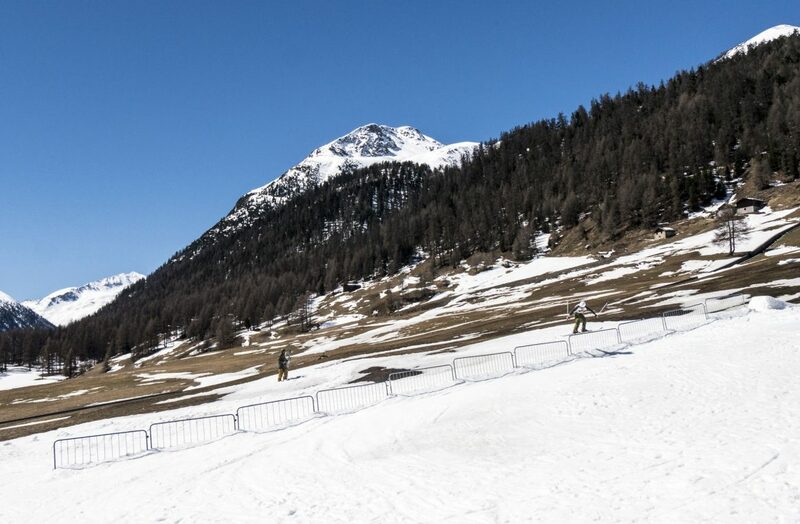 The new line features a 70-meter wide table that will host an airbag with identical kickers next to it to help take tricks seamlessly from the bag to snow, while competition-style rail setups in the XL line make Mottolino a prime training ground for slopestyle. FEATURES: More than 60 features + park lift. Easy, Medium, Large, XL. Freeride Cross, Yepi Line, natural moguls & natural pipe. 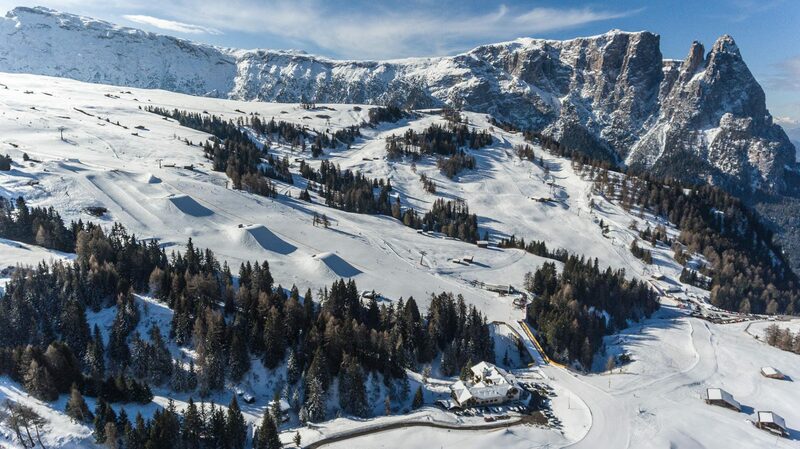 Built by acclaimed Italian shaper crew F-TECH since 2001, the Seiser Alm Snowpark has earned its ranking as one of the top spots in Europe. With a length of 1.5km it’s the longest park in the Dolomites, and the pro slopestyle line is an athlete favorite on the the World Cup circuit. There’s also a wood park and plenty on offer in easy and medium features as well. FEATURES: 1.5km park (Upper and Lower Park Line). Easy, Medium and Pro lines, full Slopestyle Pro Line and Woodline. 16 Kickers (1-21m), 32 Rails & Boxes, 8 Wood, Family Fun Line. 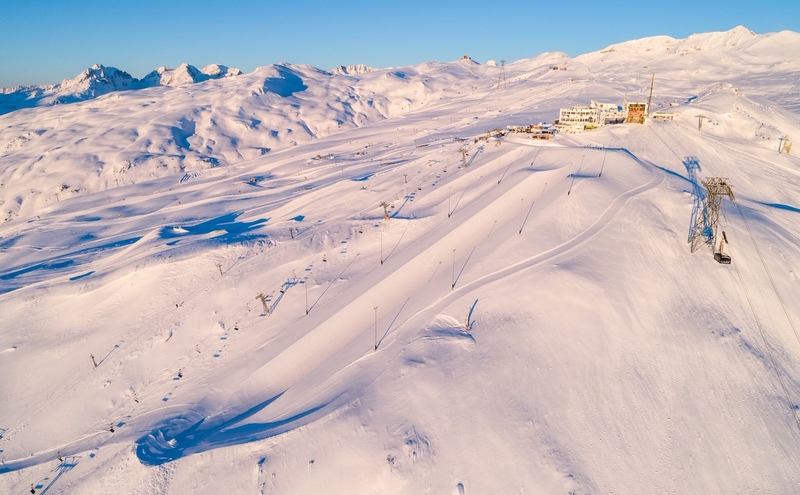 Another come-upper on the Top Ten list, Gran Masta Park is under new management after longtime park boss Dänu Kaufmann turned the park over to Zermatt’s Marcel Brünisholz. With a chill vibe centered around the park bar, located smack dab in the middle of the slope, Gran Masta Park is looking to build on its strong community of riders and carve out a lasting position as one of Switzerland’s go-to snowparks. FEATURES: Up to 50 jibs. Jumps: 4x Small, 4x Medium, 3x Large. Boardercross, Fun Slope, Beginner Park, Wolliepark, BigMama. 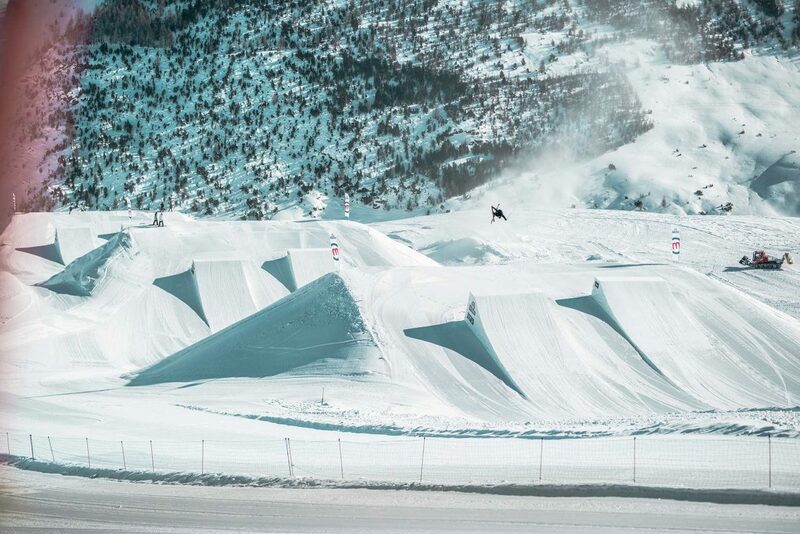 Often the front-runner in many snowpark listings, Laax is a longtime bastion of freestyle in Europe. Underneath the watchful eye of the iconic Crap Sogn Gion station, Laax’s historic park program, in place since the mid ‘90s, draws park shredders from around the world with season-long pro-level halfpipe and slopestyle setups, a wide variety of easy and medium features, and the leg-burning kilometer-long P60 park. 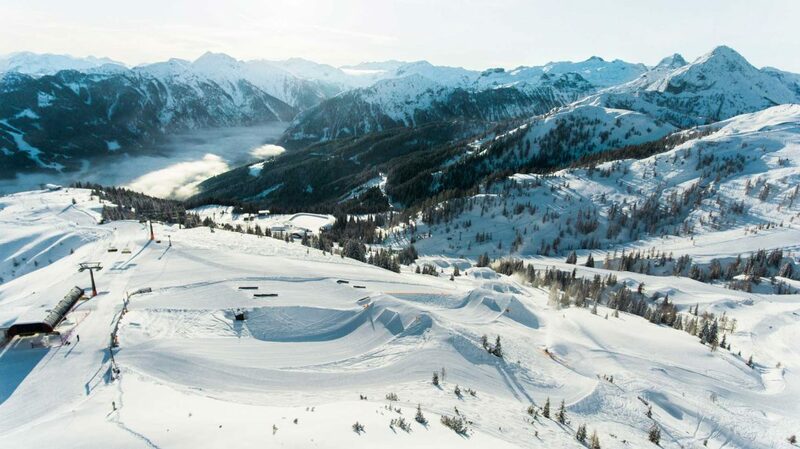 FEATURES: 90 jibs, 15 jumps, 2-3 halfpipes (full-size and mini). Easy, medium & pro lines in five different parks. 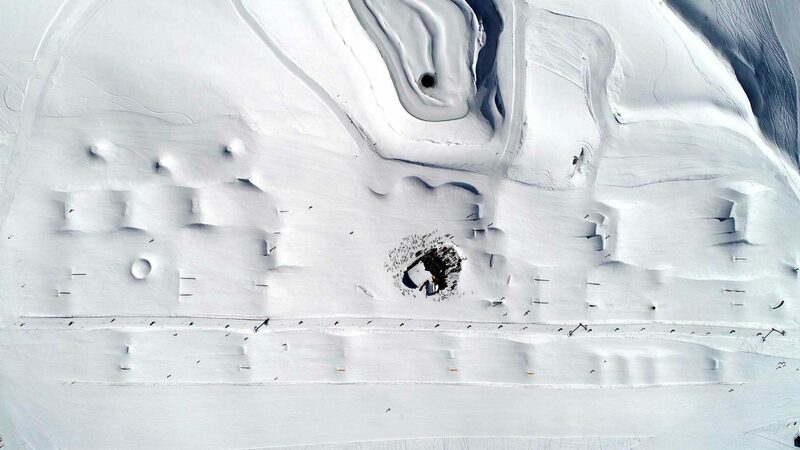 An often overlooked gem in the heart of French-speaking Switzerland, Crans Montana has the only Olympic-size superpipe in Valais, as well as a vibrant park culture and features for all comers. With slushy spring sessions that run well into May, CM’s a solid pick for late-season shredding. FEATURES: 50+ jumps and jibs. Easy, medium, & pro lines, full-size Superpipe, 100,000 m2 area. With a venerable history going back 20 years, Absolut Park is an absolute contender for the best park in Europe. A five-jump line, fast lift for hot laps, the awesome chill area with mini-ramp and boulder wall, and a combined total length of 1.6km of lines all make AP a must-visit destination for anyone looking to experience some of the best snowpark culture in the Alps. FEATURES: 70 jibs, 16 jumps, halfpipe. Easy, medium & pro lines, Stash Park. Stairset + 9 obstacles new this year. Making a surprise dash into the top 10 snowparks in our poll, Snowpark Alta Badia is located in the heart of Italy’s Dolomites. In 2009 the park moved to its current location on the Ciampai slope, where it’s been expanding with new lines and features ever since. The main goal is to build a park that suits the mighty backdrop of the surrounding peaks, while providing a setup that caters to all ability levels and a chill, welcoming atmosphere. With a tag line of “Sunny Rides in the Dolomites,” Alta Badia sounds like a great place for park laps. FEATURES: 41 Obstacles (25 Jibs, 16 Jumps/Snow Features). Easy line, medium rail line and medium kicker line, top section including creative jibs and advanced kicker line.
. Get tips and tricks in the park from professional coaches, a pizza party at the chill area and loads of goodies, all for free! Email girlsshred@qparks.com to enter. Amerikan Snowpark: so core that some of the only photos of it are from this Traveling Circus visit in 2015. What is Amerikan Snowpark doing on the list of Top 10 parks? After all, it’s a tiny, no-budget snowpark, held together by the passion of a crew of committed locals. And that, in a nutshell, is your answer. Though Amerikan probably benefitted a lot from its placement at the top of our poll, we kept them in this “best of” round-up for an important reason — giving some love to the small, local-powered snowparks that prove you don’t need a massive operation to win people’s hearts. Here’s to Amerikan and all of the lovable underdogs like them. This year, Amerikan will feature a few new rails, a medium jump and some skate-inspired jib lines. Zermatt has been steadily on the come-up since 2014, when Marcel Brünisholz took over the park manager position and began building a strong team with solid support from the resort. Now Zermatt has become an adopted home for some of Europe’s most creative park-builders and riders, with a year-round season that’s tough to beat. If you need any more encouragement to check out Zermatt, check out the mind-blowing Glacier Dayz movie from this summer. FEATURES: Up to 50 jibs. Jumps: 6x medium, 6x small, 2x large. Boardercross, AdventureSlope, beginner park, rail garden, slopestyle course, BigMama. Special volcano feature with side hits planned for 2019. 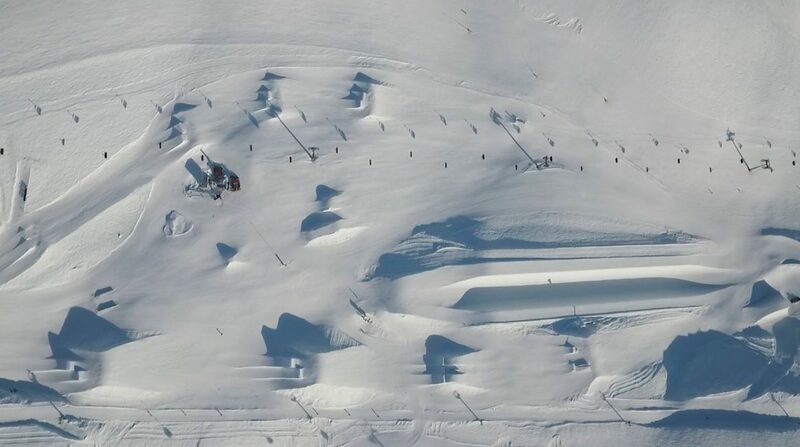 The only park outside of the Alps to break into the Top Ten of our reader’s poll, Kläppen Snowpark Sweden’s premiere freestyle hot spot. 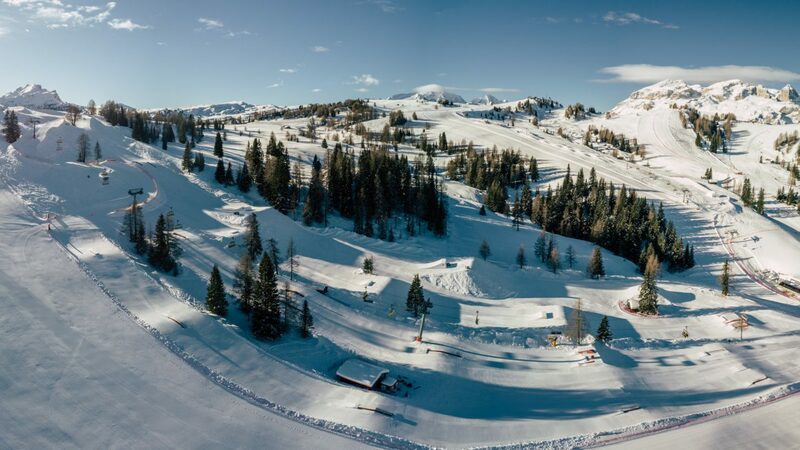 With a strong park culture and reputation for some of the best-built parks anywhere, Kläppen’s parks open early and keep pumping all season long, culminating in the celebrated invite-only Kimbo Sessions event at the end of the season, when the park-lift keys are turned over to Kim Boberg for an epic weeklong jam. FEATURES: 50+ jibs and jumps. Easy, medium & pro lines. Blue Line park with fast T-bar lap, Kidz to Kidz Park School.